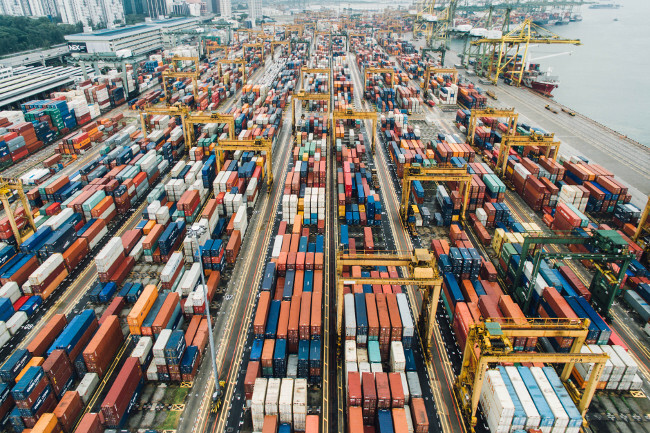 Amazon Web Services, Google and Azure customers use containers and Kubernetes, but will they opt for those companies’ Kubernetes services? We don’t have the answers but have reported how in the later half of 2017 AWS and Microsoft started offering managed Kubernetes, first developed by Google, so that now the big three cloud providers all offer managed Kubernetes service. To further complicate matters, AWS Fargate is a service will allow customers to deploy to Amazon Elastic Container Service for Kubernetes (EKS) without having to manage clusters. Using a particular cloud environment does influence users’ Kubernetes deployments. Sixty-seven percent of companies that use Kubernetes say they deploy containers to AWS. The numbers drop to 57 percent for those on AWS who actually deploy Kubernetes. Nineteen percent said they were also using AWS Elastic Container Service (ECS) to manage containers. Microsoft Azure and Google Cloud Platform users are similar to AWS customers in their usage pattern. A relatively low percentage of customers have adopted their cloud provider’s branded container services. Instead, many of these organizations were deploying a Kubernetes distribution directly onto the cloud provider’s infrastructure. 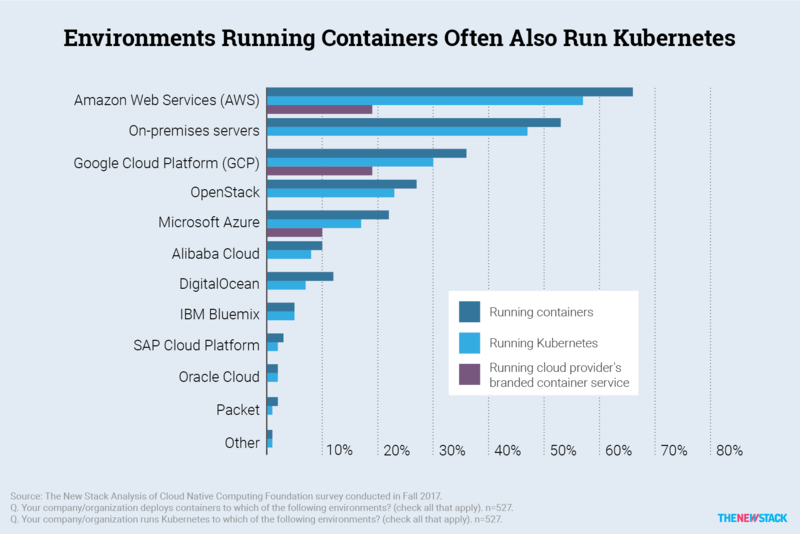 To measure the success of EKS, Azure Container Service (AKS) and the Google Container Engine (GKE), look to the percentage of their Kubernetes using customers that have actually adopted these services. On-premises, managed services, containers-as-a-service (CaaS) and its KaaS flavor all have pros and cons. The New Stack’s ebook series will continue to report on user preferences for Kubernetes deployments. Stay tuned. Feature image by chuttersnap on Unsplash.